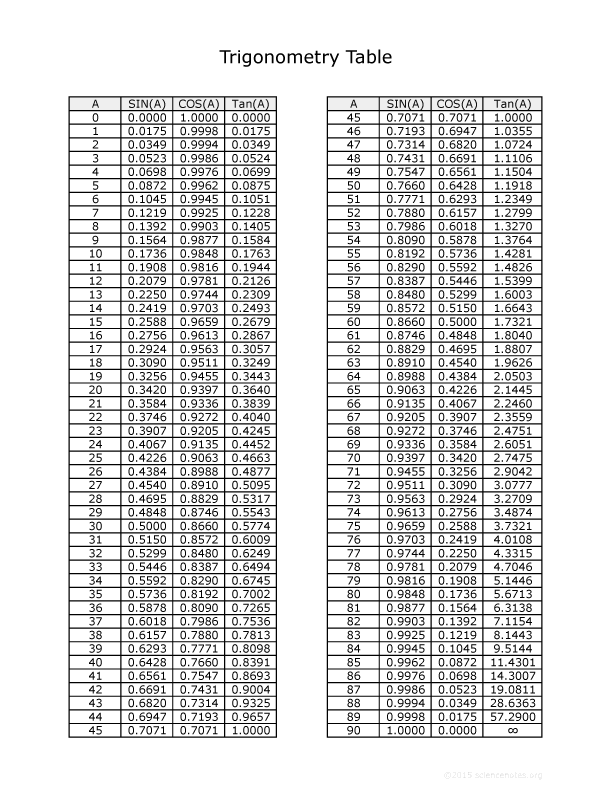 This table contains values for sine, cosine and tangent for angles between 0 and 90º. All values are rounded to four decimal places. Click the image for the full-sized image or download the PDF version. The downloadable trig table PDF is optimized to fit on a single 8½ x 11″ sheet of paper.